Join us as we interact with the community at a variety of events around Central Florida. 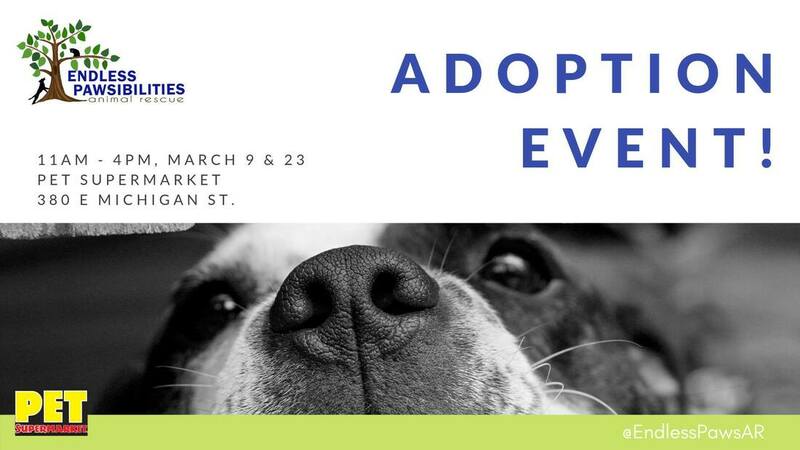 Meet our adoptable dogs and say hello! Want to volunteer? Have an idea for an event? If so, please email us at info@endlesspaws.org. Join us at Pet Supermarket (380 E. Michigan St.) March 9th and 23rd to meet our gorgeous babies. We have Puppies, older puppies, young adults and older dogs and cats! Free puppy and dog kisses are available.